The Art Deco tinged future of Metropolis is certainly one of the more memorable looks in the history of science fiction movies. 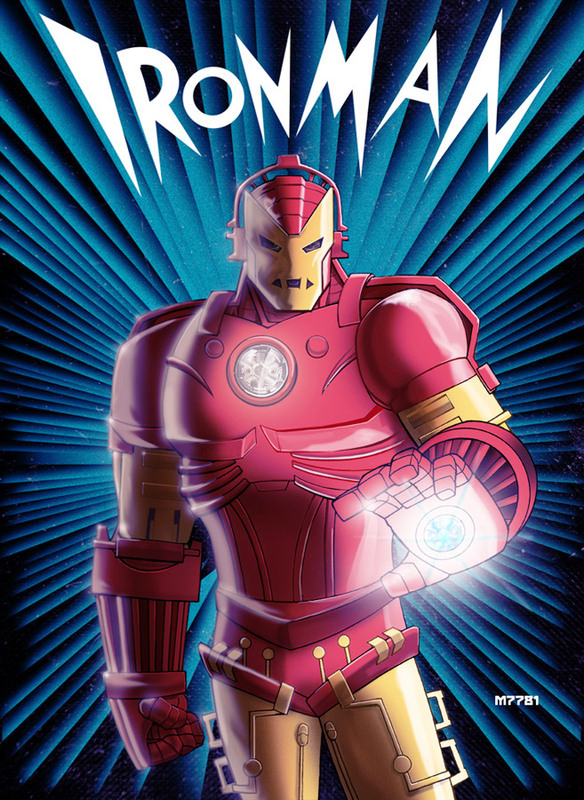 Artist Marco D’alfonso (aka M7781) decided to mash up one of today’s most popular superheroes with the style of the period, and created 1930s Iron Man. Or to be 100% accurate, he’s 1927 Iron Man, which is when Metropolis came out. All I know is if Iron Man had been around, he would have fallen hard for Maria, the robotic protagonist of the film, despite the fact that Tony Stark’s millionaire persona had more in common with the evil Joh Fredersen. I guess it could have been a “rich robot falls for working class robot” romance then.